The Health and Indigenous Medicine Ministry will introduce a special red label for all bottled drinks containing excessive sugar from August 1 under Article 32 of the Food Act No. 26 of 1980, Health Services Director General Dr. Palitha Mahipala said. Manufacturers and importers should display the red label if the sugar content of the drink is over 11 grams per 100 ml, Dr. Mahipala said. He said all locally produced and imported bottled drinks such as soft drinks, fruit drinks etc. in cans, bottles, packets etc, except milk, should display the red label in all three languages when the sugar content exceeds 11 grams in 100 ml. A green label should be displayed for drinks which contain two grams or less. Middle level sugar content (between two and four grams per 100 ml) should be indicated by a yellow label. Dr. Mahipala pointed out that at present the implementation is done voluntarily and the Health Ministry made the request from all manufacturers and traders six months ago. 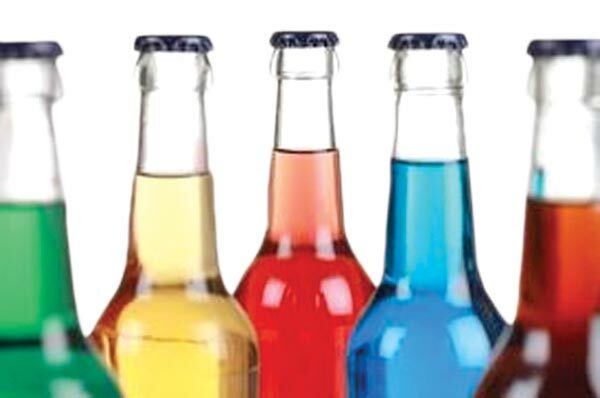 It is discovered that the sugar content in bottled drinks available in the market at present is extremely high. Excessive sugar in bottled drinks cause diabetes and Non Communicable Diseases (NCDs). The consumption of sugar, salt and flour is extremely high in Sri Lanka. Meanwhile, Health Ministry sources said that during a recent meeting with Health Minister Dr. Rajitha Senaratne, drink manufactures had stated that they cannot implement the label system but Minister Senaratne had informed them that they have to follow the rules in the gazette mortification and display labels. It took five years for the Health Ministry to bring this law, the minister said. Minister Senaratne had also said that tax on sugar should be increased similar to UK.